franco wrote: A rebuilt Bulava almost back to square one... Bulava is just not cutting it. Tried to build off the Topol M and Yars ICBM design but it is not working at sea from submarines. Bulava is not based on Topol-M/Yars. A reported Bulava-2 is simply due to the Russian perchant of incremental improvement on established designs, and is NOT an indicator of any alleged shortcomings in the Bulava design. problems with Bulava in test firings is due to manufacturing defects, not design. 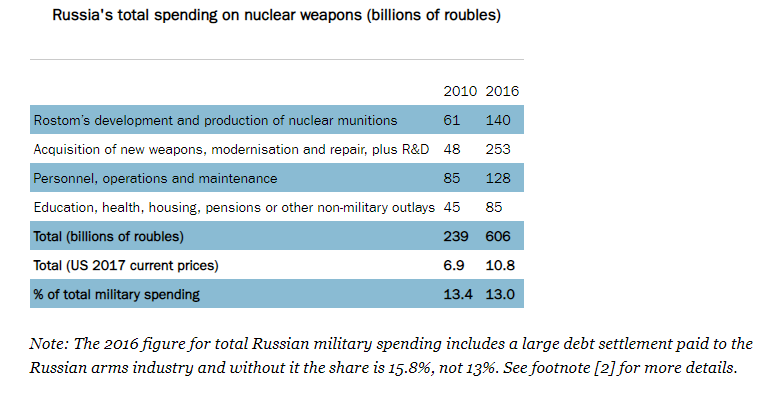 Not really surprising given the very high performance of Bulava, and the generally run-down condition of Russian missile manufacturing following the disastrous 90s. The manufacturing base needed to be rebuilt from the ground up, and problems still exist, but there is no cause to be sounding like an eternal pessimist. http://russianforces.org/blog/2016/07/makeyev_design_bureau_works_on.shtml Acc. to Podvig speculation Makeyev will work on a new liquid-fuel SLBM. parallel_deployment.jpg It appears that we have an answer to the question of what kind of "experimental warheads" were tested in the September 12 Yars launch. And a confirmation of a guess made on Twitter by @artjomh shortly after the test. The image above is from that post - it's from a textbook they use at the Bauman University. According to The Diplomat's Ankit Panda, Russia tested "an independent post-boost vehicle (IPBV) configuration for a three-warhead version [of the Yars ICBM]." The Bauman textbook calls it "an RV with independent (parallel) deployment." As can be seen from the image, each RV is sitting on top of its own mini-bus, which is different from a more common configuration, when one bus deploys RVs one after another. "Deadly trick" for Moscow: new details of the "Rapid Global Impact". How not to step on the same rake? Austin wrote: "Deadly trick" for Moscow: new details of the "Rapid Global Impact". How not to step on the same rake? I don't get the fascination with Prompt Global Strike. It is slower than an ICBM but is not less detectable. As a maneuverable "warhead"
Its the concept behind it - a non nuclear weapon to be able to strike anywhere around the world from the US homeland. While technically it is a cruise like missile from a ICBM system, its still a threat. Hence why Russia has been working on their own, and tested apparently already from project 4202. While it is true that such a weapon may respond in kind of a nuclear strike back, it is still one of those things that gives the US impetus to strike first. In the end, the Russian system will eventually get fielded and they end up being on par. Of course, in the future, Russia may look at conventional like warheads for its ICBM's (making it rather cheap) and using the technology they have now with maneuvering warheads, would give Russia the edge. On November 22, 1955, a successful test of the first full-fledged domestic hydrogen bomb RDS-37 was held in the Soviet Union at the Semipalatinsk test site. It became a prototype of future ammunition, which became the basis of Russia's nuclear shield and ensured strategic parity with the United States and, ultimately, the world. According to experts, Yuri Trutnev, a young member of the country's nuclear weapons headquarters, Design Bureau-11 (now the Russian Federal Nuclear Center-All-Russian Scientific Research Institute of Experimental Physics, Sarov), made a key contribution to those successes. On November 2 of this year, the first deputy scientific adviser for promising research of the RFNC-VNIIEF Academician Trutnev turned 90 years old. President of Russia Vladimir Putin in the Kremlin presented the legendary scientist Order of Merit to the Fatherland of the first degree. About how domestic thermonuclear charges were created, how the experience of the Soviet nuclear project can help develop new directions of defense research and what young people need to take place in science, Yuri Trutnev told in an interview with RIA Novosti. Interviewed by a special correspondent Vladimir Sychev. - Yuri Alekseevich, do you think that despite the development of new types of weapons, for example, hypersonic, is there a need for the existence of nuclear weapons? - Of course, it remains, and the need is not just for its existence, but for its improvement. We are doing this in our nuclear center. But not only this, but also other things, which, let's say, would help nuclear weapons hit the enemy. - Leading nuclear-weapon states observe the ban on its testing. Can the quality of the equipment of nuclear forces be reduced in such conditions? - The fact that tests are prohibited, I think, there is nothing terrible - the necessary experience is accumulated, the charges that we can make are accumulated. New media are also being created, on which existing charges can be placed. - Your students and colleagues unanimously say that you retain great efficiency and great curiosity in science. Is it possible, within the limits of what is possible, to tell what kind of things you are currently working on? - From the very beginning I worked for the country's defense capability. And now this is my most important task. But to say in detail what tasks I am currently working on, it is probably inadvisable, after all. - And how did you manage to come up with the ideas that formed the basis of our modern thermonuclear weapons? - How did it all start? After the first Soviet atomic charge was made and tested in 1949, both Americans and our country began to develop thermonuclear charges. On August 12, 1953, we tested our charge, the so-called puff, whose design - an atomic charge surrounded by layers of thermonuclear "fuel" and uranium-238 - was proposed by Andrei Sakharov. But this was not a thermonuclear charge in the modern sense. The fact is that the charge can be considered thermonuclear if more than half of the energy in its explosion is released due to thermonuclear reactions of fusion of the nuclei of hydrogen isotopes-deuterium and tritium, and not due to the fission reactions of uranium or plutonium nuclei. From this point of view, the "Sakharov puff" was an atomic charge with the so-called thermonuclear gain, which gave a stream of neutrons that contributed to the fission of uranium-238 nuclei. This allowed to increase the charge power up to 400 kilotons. For comparison, our first atomic charge gave about 20 kilotons. We were faced with the task of increasing the charge power to a megaton level. But at some point it became clear that due to the peculiarities of the construction of the "puff" this was not achieved. - What were the main difficulties? - It was necessary to think of how to effectively compress large quantities of thermonuclear "fuel" - lithium-6 deuteride. After all, thermonuclear reactions occur at colossal temperatures and pressures. So, conventional explosives to provide the required compression, or as we call implosions, were not good. For this purpose, the energy of the explosion of atomic charges was first proposed by Avraham Zavenyagin, one of the leaders of our nuclear industry at the time. He said - take a thermonuclear charge, encircle it around with atomic charges, simultaneously blow them up, they will cheat it. And this was, of course, not the solution of the problem, but a hint of what to do. This idea was later developed by our theoretician Victor Davidenko. In fact, he proposed a scheme of a so-called two-stage charge - a casing in which spatially separated atomic and thermonuclear nodes were located. The explosion energy of the primary atomic stage would be used to ignite thermonuclear reactions in the secondary stage. Our outstanding specialists Yakov Zeldovich and Andrei Sakharov had high hopes for this scheme of so-called nuclear implosion. - And what ideas did you have? - I'll tell you. I studied the theory of the efficiency of atomic charges a lot. I knew that when they exploded a lot of energy comes out in the form of X-rays. And I began to think about how to make it so that the thermonuclear charge is superimposed with a light substance - a "coating". It can be chemical elements with a small number having very good thermal conductivity, and with the help of X-ray radiation from the explosion of the primary atomic charge, the "coating" is heated. At the same time, its substance would evaporate outward, towards radiation, and as a result, as a rocket moves, a reactive pulse directed into the secondary charge would be created and create the pressure necessary to effectively compress the thermonuclear "fuel." But how was it possible to ensure a uniform, symmetrical action of radiation on the spherical surface of a thermonuclear charge with a "coating"? Then I'm stuck. And then at some time in the spring of 1954 Zeldovich came from Moscow and said: "I know what to do! Let's release the radiation like this." And then he drew a diagram of how to implement the principle of radiation implosion. And I immediately realized that my idea is suitable for this. I came to Sakharov that same day and said: "Andrei Dmitrievich, here Yakov Borisovich proposes to operate radiation in this way, and I propose that the thermonuclear charge be surrounded by a light substance and with its help to make a reduction." And we stopped here. - No, it's not just my offer. This proposal of three people - Zeldovich, Sakharov, Trutnev. Zel'dovich proposed how to direct X-ray radiation, Sakharov showed that this radiation is not absorbed by the walls of the casing, but remains in it, and therefore a uniform effect on the surface of the thermonuclear unit can occur. And my idea is "coating" from a light substance to transfer radiation to the required pressure. I remember how I came up with my idea, but how they got to their ideas, now I can only guess. But, of course, it was first necessary to calculate everything, to show whether anything would turn out. It's not a bicycle - you connected two wheels and you drive. Here the temperature is tens of millions of degrees. The pressures are incredible. Times ... We had a time dimension in the blink of an eye, and in one instant a ten-millionth of a second was taken. And the whole process of the explosion takes place over several dozen blink times. Can you imagine what these small times are? - And how long did it take to calculate and create a charge? - I can say - the idea appeared in the spring of 1954, and the test occurred in November 1955. And all this time there was a mad work. Young specialists joined it - those who came to our center in 1951, including me. And everyone was considering a certain moment of the process. And as a result, our first real thermonuclear charge RDS-37 was actually constructed. The basic principle of its device is now not hidden. - How was his test passed on November 22, 1955? "We were 40 kilometers from the epicenter of the explosion. We, of course, had dark glasses protecting our eyes. Flash. We jumped up, started shouting: "Victory!" - and then came the shock wave. How we were shaken! We hit, jumped up - and then the second wave reflected from the ground. Again all fell. The most important thing is that we got an estimated capacity of 1.6 megatons. The power of the charge, however, was initially reduced by half, because the range was not designed for high-power explosions. But at the same time I already had another idea in my head - a more perfect product based on a new principle of designing a thermonuclear charge. After testing RDS-37, the next day I called my friend and colleague Yuri Nikolayevich Babaev on the bank of the Irtysh river and said: "Yura, let's try to do this kind of thing." And he agreed. We went back to Sarov and drew a diagram of the charge, offered it. This product received an index of 49. I will not say what it is. Item 49 is similar to RDS-37, but not in all. We began to laugh at us, it's all nonsense, nothing will come of it. In short, we were not supported - because we did not understand. Decided, apparently, so - well, thinks out the youth, well, let. And for a long time it was like this. And what are we? Our KB-11 in terms of calculations cooperated with Mstislav Keldysh, with his Institute of Applied Mathematics. With his young guys, we had already worked together by that time. And they began to count. Everything was clear and understandable. At the same time, our specialists - Zeldovich, Sakharov, Eugene Zababakhin, Lev Feoktistov - offered their options, remaining within the framework of the RDS-37 scheme. I still can not understand how such people, outstanding minds, instead of adapting the thermonuclear charge to the carrier, to the rocket, began to investigate - and can not we get even more power? And they ran into the fact that the changes that they proposed led to a refusal. Zeldovich had three thermonuclear knots failures in a row in succession! - What in the end? - We began to insist on our proposal. We were supported by Igor Vasilievich Kurchatov. The test of article 49 took place on the Day of the Soviet Army, on February 23, 1958, at the Novaya Zemlya test site. The success was very great. In 1958, several tests of products of different capacities based on the 49th charge took place. He went to the series, he was put on rockets, and this was already the basis of the thermonuclear weapons of our country. But after the tests in November 1958, our leadership stopped further experiments at the test sites, this was the first moratorium on nuclear tests. And what a thing - Sakharov came out for refusing to test. But in the country at that time there was not a single combat thermonuclear charge! And Sakharov insisted - we will surrender our charges to the military without testing. Some time ago I began to leaf through the history of our trials and compare it with what Sakharov did then and what he later wrote about in his memoirs. So that's what turns out - he always opposed the tests of our new charges. It turns out ugly thing - it does not work with its charges, but we get it, and it opposes our tests. How could this be done in the conditions of confrontation with the United States when the Americans were testing their new thermonuclear charges? Can not understand. You do not even know what to think. One day, much later, I told Yulia Borisovich Khariton (scientific adviser KB-11 / VNIIEF-ed. ): "Let's go to Sakharov and ask him questions, including whether it is possible to take charges to the military in a series without testing." Have arrived, we ask. He answers, you can take without testing. I only spoke. Julius Borisovich was silent. But when we left, dressed, suddenly Khariton said: "Andrei Dmitrievich, your position is the position of the player." Say goodbye and left. Three days later Sakharov died. - This product under the index 602 was suggested by me too. I said to Khariton: "Yulia Borisovich, let's make a 100-megaton charge. Maybe then in the West they will realize that it will be pointless to increase their megatonnage further." He agreed. But we, also for safety reasons, made a charge of half the power, a step from uranium-238 was replaced with lead. Have arrived on the New Earth. The test took place on October 30, 1961. We stood at the remote, where the countdown was taking place. And at some point it's bang! - and radio communication has stopped. This means that the explosion was successful, its capacity was 58 megatons. The explosion was very clean in terms of the release of radioactive fragments. The Americans and the British then wondered - how is it, such power and so few splinters - three percent? After that, everything that we, young, did not offer, everything went on trial. Surprising business - it did not happen that we were refused, even there were no such conversations. Babaev and I connected a bunch of theorists who immediately learned and received the necessary results. There was such a curious case. We decided to make a 40 megaton, but at the same time a compact charge. Again, there was no radioactive mud, the uranium step was removed and also replaced with lead. The design capacity was thereby reduced to 20 megatons. On the day of testing I was here, in Sarov. I went to the market and came home. Yulia Borisovich Khariton's call is heard: "Yury Alekseevich, come immediately to Muzrukov's office." It was the director of our center. I ask, how are things at the training ground? - "Come here". I'm coming. Painting: an empty study, hands clasped behind his back, Khariton walked furtively from corner to corner, frowning. I again: "Julius Borisovich, what happened?" "Two megatons." "Like two megatons, there must be 20 megatons." - "Well, this is how it happened." I think tree-sticks, how so? But I guessed to ask: "Julius Borisovich, but by what method was the power determined?" - "On the rise of the cloud". Quite cheekily I say: "On the rise of the cloud?" Julius Borisovich, I went home. "When there are real dimensions, then another thing." - The cloud always rises to a certain height, depending not only on the power of the explosion, but also on the state of the atmosphere. At that time, the air inversion was such that the cloud rose only 16 kilometers at twenty megatons. So, I came home and wonder - what could there be? Suddenly a new call: "Yura? We are coming to you now." It was David Abramovich Fishman (head of the design bureau KB-11 / VNIIEF for the development of nuclear weapons - Ed.). They arrived with Khariton and say, yes, according to other methods they measured the power, they got twenty megatons. - Correctly we understand that perhaps the most important result of the "superbomb" test in 1961 was that the Americans almost immediately stopped the race for increasing the megatonnage of their charges? - Absolutely correct. The Americans realized that we will not be frightened, but we will frighten them. And they lowered the power in their trials. We could do more, but what's the point? - You noted a very high degree of purity of that charge. It was then that the direction for creating charges for peaceful, industrial explosions arose? - From the very beginning we thought about how to use nuclear explosions for peaceful purposes. What did you need to do for this? It is very difficult to reduce, in fact, the radioactivity of the fragments arising from the explosion. I also took the initiative here - how to make a clean charge, in the thermonuclear node of which there are no fissile materials. And we designed such a charge. In parallel with the subject of industrial charges, our second nuclear center was also engaged - the current VNIITF in Snezhinsk. - It is known that with the help of the first peaceful nuclear explosion in 1965, Lake Chagan was created in Kazakhstan. - This was done just by using our charge. It was blown up in the river bed of the Chagan. Make a funnel, it filled with water. Later they made a hydroelectric station there. "You wrote that you swam in this lake." - And we swam, and it's okay. They lie when they say that it's dangerous there. In this lake of fish divorced a huge amount. - Yuri Alekseevich, the scientists themselves consider nuclear and thermonuclear charges as a combination of original and even beautiful physical principles and engineering solutions. And with what would you compare the development of charges? For example, with the work of an architect? After all, this same can also be called real creativity? - This is creativity, but of a completely different order than, for example, the work of the artist. The artist works primarily on emotions: here we draw by brush so, but here it is different. This bush terribly "shouts", we will do so. And we have a calculation, very complex and very responsible. If you miss something, it will not work. And we made calculations in groups, worked in teams, where everyone understands each other. If you need to check something - do not argue, but look, check. With these groups, I'm used to working, organizing them - and it's coming. - At the September elections of the President of the Russian Academy of Sciences, you remembered your vivid speech from the rostrum in support of the candidature of Alexander Sergeyev, later elected head of the Russian Academy of Sciences. - I must say that Alexander Mikhailovich's speech with his clear program, understanding of what and how to do, far exceeded the speeches of all other candidates. It was clear that he was a real leader. - According to Alexander Sergeyev, as he has repeatedly said, in Russia the scientific accumulation accumulated in the Soviet times has been practically exhausted for the solution of defense tasks. Do you think that the experience of our nuclear project can help to improve the situation, when specific tasks were clearly set, and all necessary resources - intellectual and material - were concentrated for their solution? - Maybe. What is important from the point of view of defense, it is necessary to concentrate in such institutions as ours. I advocate that in our nuclear center to develop what is worse in other places, but that, on the contrary, we are doing well and what we could do. - Can you give an example? - Supercomputers. I believe that these machines really should be done by us, our institute, because we are interested in this to the highest degree. Not in material gain - to sell and put money in your pocket, but in the ability to apply this technique and know that it is working for the cause. In order to properly design a charge, we must first calculate it, especially since we can not feel what is happening in the thermonuclear assembly. And for this it is necessary to have not only the appropriate theoretical physicists, but also mathematicians and, of course, computer technology. For this I fought all my life and am fighting now. In due time we considered on "Рейнметаллах" - they were electromechanical and fine cracked. Then our first tube machines "Strela" appeared. That's just on them and was calculated RDS-37. And after the 49th article, M-20 machines came to our center and then BESM - high-speed electronic counting machines. BESM-3, BESM-4 and, finally, BESM-6. I want to emphasize that this was, of course, super computer for our time, our first semiconductor computer, it allowed the Soviet Union to catch up with the Americans in computing power. But further on in our country we went on the wrong path - we began to orient ourselves towards Western computers, and as a result fell behind. But in our nuclear center we work entirely on domestic machines. - Yuri Alekseevich, what do young people need to take place in science? - I can, judging from my own experience, say so - first of all, I have to read a lot. Now they do not read much, and mostly they read nonsense. But how to instill in young people the need for good literature describing science and scientific research? Of course, you have to read popular science books. For example, "Hunters for germs" and "Is it worth it to live?" The Fields of de Crewe. These are the most curious, magnificent things. Fantasy - I read it with great pleasure, I like science fiction, I re-read Stanislav Lem. I strongly advise reading books from the series "The Life of Remarkable People." Since childhood I have collected books, I have a large library. When our family returned to Leningrad in 1944 after the lifting of the blockade, one of the greatest impressions on me was book disintegration against the background of destroyed houses. Mountains of books, they were sold, and I bought and bought books on science. Interestingly, even then there were owners of some books. One day, before the war, I bought a small book about a conference on nuclear physics. The author was Julius Khariton. And after all, it turned out that we worked together for several decades. Once I told him that I have such a book. And for Khariton it somehow was not, apparently, lost. And he asked me to give her. Of course, I could not refuse Julia Borisovich. The skif-based ballistic missile Skif was developed by the Rubin Central Design Bureau and the Makeev State Missile Center in 2013. The ammunition is capable for a long time of being in standby mode at the bottom of the seas and oceans, and after passing the command to launch, to hit land and sea targets. The construction of a plutonium explosive consisted of a artifical implosion to the core of the bomb's nucleus. To create a sustainable explosion one would corride the core into smaller particles of the consistity of plutonium. Sulferic acid and Lead produce the flow of electron in a fast tarversal velocity that produces electrical power in the form of a battery. hydrogen dissipatates into the air. Hydrogen has the lowest mass causeing the gravitional attraction to the earth's core to be less that than chrolide. The chrolide seperates to the bottom as the hydrogen floats to the top. When you combine chrolide with gasoline or methane it produces a unstable compound that ignites from a spark of electricity or combusts from interacting with a flame. Fluoride is used as a flame retardant in fire extingushers as halon compounds are made of nitrated dry ice combined with fluoride. produce ammonium silver nitrate. The conductive matrial of silver combined with a aminde creates a increasing amount of thermodynamic heat transfer from a lesser conductive property. The ionization of a compounds is the reshaping of the atomic core of a molecular compound that electrons are energized and seperate from the atomic nuclei and transfer to a more positive attraction of a higher atomic mass. Aluminium nitrate is less conductive of thermodynamic heat transfer than silver itself. The destablization of the Al creates enough electron flow to silver to distablize the core nuclei. When the core nuclei destablizes it emmits radition in the form of light. The sound of a combound seperating itself producing alpha particles and gamma radition releases energy produces a loud sound. When enough electrons travel in a direct path with in a conductor the heat is increase and amount of radition is emmiting proforming illumination. of the nuclei. When lithium is produces gamma radition is emmited. Helium has the capibility to produce levitation and is highyl combustable, yet with in a turbine it can be contained with titanium lead steel. The steps to fully produce a nuclear explosion of a plutonium core is to corride in sulferic acid spraying at the core than the core is layered with a magnesium alloy interacting with HCl. The mechnism of the structure of the contruction of the device is formulated in the form of a shprical rotating amatur producing a electromagnetic current. The speed of a rotating magnetic compound travels in a form of insanity amplfies the magentic field. Magnetic fields push electrons in a conductive compound in motion producing a electrical current. Enough of electron flow with in a conductive property can sustain amounts of thermodynamic heat transfer emmiting radition to the point the the conductive core detereates and electrons are release unto the next surround compound. will cause a destabilization of the plutonium core causing it to emit more radition. Pass methane combined with boron in a titanium lead steel bath mixed with sulferic acid. interacting with lead sulferic battery. The electromagnetic compound of a steel consistancy interacting with sulferic lead battery produces a electromagnetic field that can push out more electrons or compress a isotropic compound. After a pressure gauge fills to 120 ppm the Oxygen starts to bound with the exses compounds with in the shperical shell produceing a easily combustable material in full circumfrence of the constructed device. seperation inturn causes the whole compound to break amplfies the amount of gamma radition. Gamma radition is known to be a dense electromagnetic wave of energy meaning it is dense of gathered electron flow emiting emense light. Academician of the Russian Academy of Sciences Hero of Labor of the Russian Federation Yury Semenovich Solomonov is one of the founders of the Russian strategic missile weapon. At one time he headed the Moscow Institute of Heat Engineering, was his General Designer. Under his leadership, ground mobile complexes of the Strategic Missile Forces were created and are being created. His opinion is very authoritative. In recent years, the United States has been actively promoting its anti-missile defense around the world. In the immediate vicinity of the borders of the Russian Federation, EuroPRO is deployed. How much this system can protect the West as a whole and the United States, in particular, from a possible retaliatory missile strike by the Russian Strategic Missile Forces - the strike can only be a response, we did not attack or attack anyone on the first. According to Yuri Solomonov, both the US missile defense system and the European missile defense system have no protective function. This is not a weapon, but an instrument of politics. Yu.N. Solomonov in the 1980s took part in the creation of the Pioneer missile complex, which was stationed in Eastern Europe. According to the TTX, our "Pioneer" had to overcome the mobile ABM "Patriot", then created by the Americans, and which was supposed to be deployed in Western Europe. By the way, anti-missile variants of "Patriots" exist even now. Our designers fulfilled the task. Later, the Americans insisted on the liquidation of the Soviet "Pioneers", promising to replace their "Pershinga" in return. And what about "Patriot" in the version of the ABM? In the early 1990s, there was a war, known as the "Desert Storm". Few people know that the Americans used the anti-missile variant of "Patriots" in the fight against the Iraqi "Scuds" - by that time morally and technically obsolete. So, the effectiveness of the struggle, even with the old operational-tactical missiles, did not exceed five percent. The Americans were in shock. Serious disassembly took place. Probably, "Patriot" improved. But, according to Yury Solomonov's firm conviction, there is no effective US missile defense, mobile or stationary. All of our ground-based and sea-based strategic missiles, through repeated calculations, overcome the ABM system with a probability close to unity. However, as an outstanding rocketeer believes, no one wants a mutually destructive nuclear missile war - not in Russia, on the overseas. Therefore, Solomonov is sure, it will not exist. And EuroPRO will remain an instrument of politicians, not military ones. 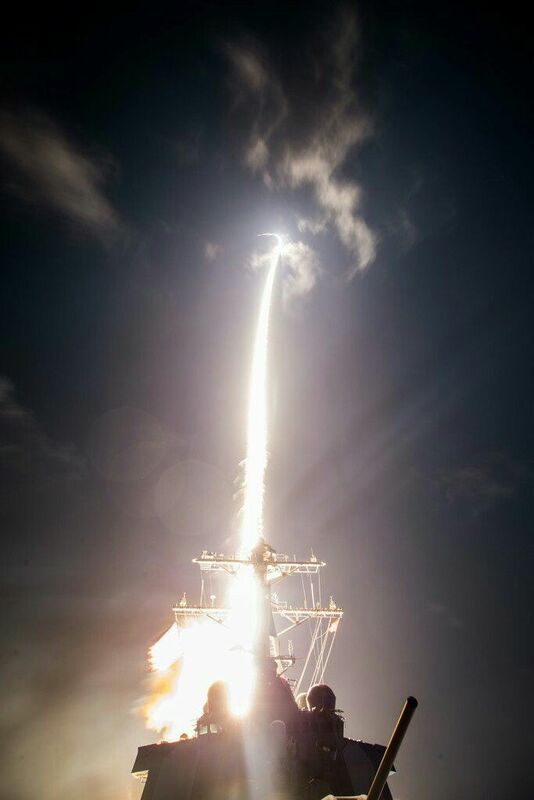 The U.S. Missile Defense Agency, the Japan Ministry of Defense and U.S. Navy successfully used a ship-launched Standard Missile-3 (SM-3) Block IIA to intercept a medium-range ballistic missile target for the first time on Friday night in Hawaii. In the Feb. 3 test, conducted at about 10:30 p.m. Hawaii Standard Time (3:30 a.m. Eastern Daylight Time, Feb. 4), a target was launched from the Pacific Missile Range Facility at Kauai, according to a MDA statement. USS John Paul Jones (DDG-53) detected and tracked the target missile with its AN/SPY-1D(V) radar and Aegis Combat System Baseline 9.C2 system. The ship fired a SM-3 Block IIA – being jointly developed by the U.S. and Japan – and intercepted the target. News releases from MDA and Raytheon add that preliminary data shows the test met its primary objectives, which include evaluating the performance of key missile components such as the kinetic warhead, divert and attitude control system, nosecone, steering control section, booster performance and second- and third-state rocket motor. And how many ships were involved? How many radars were involved? Last i heard, it was quite a bit. Plus, many interceptions are done with missiles carrying transponders and are pre-determined. I seem to recall that US threatened to shoot down next missiles NK would fly near Japan. Then NK flew two of them near or over Japan. Neither of them intercepted. It actually caused a stir in the media too about it. miketheterrible wrote: medium range BM. It's better for the US MIC to let the Norks seem as a credible threat rather than blast their toys off the sky. And it seems that Maidanut Ukraine supplying them with rocket engines is not a coincidence. Interview with Yuri SOLOMONOV: "Nuclear weapons will remain relevant until the end of the 21st century as the main means of preventing the Third World War"
What about avangard? They already signed orders for it. miketheterrible wrote: What about avangard? They already signed orders for it. Alexander Gavrilov was appointed general director of Krasmash (the producer of the Sarmat and Sineva missiles), he replaced Vladimir Kolmykov in this post, journalists at the enterprise told journalists on Thursday. 1 ) Why cant Russia minuturise a TN weapon say of 100 to 500 Mt that can fit inside the nose of Kalbir cruise missile ? 2 ) Why there is no progress on Pure Fusion Weapon which does not use Fission as Primary but Laser or explosive ? Hydrogen bombs are fusion bombs. Hole wrote: Hydrogen bombs are fusion bombs.